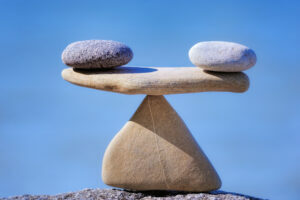 Balance does not mean equalize. It is not a realistic expectation to think that you will spend an equal amount of your waking hours working and not working. There will be moments when your professional life represents a heavier weight and moments when your personal life needs more attention. The goal is to be able to recognize what area of your life needs more of your time and be able to accommodate that need. Put time on your calendar for the important personal things in your life. Whether it’s exercise, date night, or your kid’s soccer game, purposefully scheduling this time will help to ensure that you actually follow through. Remember, these events are just as important as a business meeting. We all need to step back from time to time, so it’s important that you use your vacation days. You don’t have to plan a week-long escape to a tropical paradise (although if you can afford it and have the time, we strongly support this idea). Even a “staycation” can have positive effects on your mindset and help to prevent burnout. Even one day away from the office can help you feel refreshed. If you are so consumed by work that you can’t take one day, you need to step back and reexamine the bigger picture. You do not have to complete every task that needs to be done. This is true for both your professional and personal life. Learn to delegate responsibilities to your team members and colleagues. This will empower them while simultaneously taking tasks off your plate. In your personal life, consider delegating household chores. If you have the ability to hire a housekeeper or a landscaping service, do so. This will free up personal time and allow you to do things you truly enjoy. There is always more work to do and there is always more you can do within your personal life. You need to establish realistic expectations for both areas of your life. Don’t expect to complete a month’s work of work within a week and don’t expect to be able to be the “perfect” husband, father, friend, son, and so on. Work-life balance is not an exact science and no one strategy works for everyone. The ultimate goal is to make sure that both your work and personal priorities are being met. Once you have achieved this, you have achieved your version of work-life balance.